Anyone who’s paying attention knows that there has been a lot of controversy surrounding citizen engagement efforts in connection with the city’s “Housing Boulder” comprehensive housing strategy effort. The consultant whose profane language in front of a crowd of younger Boulder residents inciting them to rise up to oppose the views of older, long-term residents is but the most visible example of such controversy. The effort under way to gather signatures for a ballot initiative that would give neighborhoods a stronger voice in their own future is clear evidence that many in Boulder do not believe city leaders are hearing them. This column draws on my own experience with Housing Boulder and first-hand observations of a very broken process for engaging citizens in civic affairs. I believe they are representative of the experience of many people who try to be engaged citizens and might explain why so many others don’t even try. All activities (working groups, public meetings, online tools, etc.) were based on the Housing Boulder “toolkit,” a set of 35 or so actions that might be taken to address housing problems. The problems were pre-defined by staff, as were all of the potential “tools” to address them. All attempts to provide different perspectives on what the problems are or suggest different tools were rebuffed or ignored by staff. Every exercise in every meeting of the working groups and the neighborhood workshops was designed to select top priorities from among this limited, pre-defined set of actions. It’s important to note that none of these actions focused on preserving the character of existing neighborhoods, that most of them promoted higher densities and relaxation of development regulations, and that the “do nothing” option was never discussed, even as a straw man. Most of us are smart enough to recognize that if the choices are limited and biased, the outcomes will be too. I can’t speak for the membership of the other working groups, but the one on affordable housing was far from balanced or representative of the citizenry at large. Even the title of the group—Strengthen our Current Commitments—pushed toward a certain conclusion. (Although I am not one of them, I imagine there are folks in town who would rather not continue to build subsidized housing and there are certainly many who think our current commitments, which have made considerable progress in recent years, are just fine as they are.) I have tremendous respect for my fellow working group members as individuals and we had some wonderful conversations. I must point out, however, that most are long-time affordable housing advocates, work in the affordable housing industry, or are beneficiaries of Boulder’s affordable housing programs. It is also worth pointing out that the staff-written report of my working group’s efforts was conveniently selective about characterizing what were some very good and deep discussions of whether Boulder’s ten percent affordable housing goal is the right goal, at which end of the low-and-moderate-income spectrum limited resources should be focused, and the folly of Boulder trying on its own to solve what are essentially dysfunctions of the regional housing and transportation markets. You won’t find more than passing mention of those in our working group report. What you will find, instead, is endorsement of a subset of the actions described in the “toolkit.” Most of the group’s concerns about the impacts of widespread (or, in some cases, even limited) implementation of these tools will not be found in our report. The neighborhood meetings, which should have been held at the outset of the process if the city really wanted neighborhood input, were even more strongly guided to pre-determined conclusions. To expect a group of people who haven’t had more than a 15-minute introduction to the bare outlines of the (biased, as above) “toolkit” to make choices among them and identify locations where they should be implemented is ridiculous and manipulative. I couldn’t bear to stay to the end of the North Boulder meeting because my blood pressure spiked. The online surveys, including the one sent to working group members, were useless. Anyone who knows anything about survey design could see that the questions were written in such a way as to bias the response and that the multiple choice responses were so shallow as to be meaningless. Last, but not least, Code for America. The reported $150,000 spent on that contract would have easily paid for a professional, unbiased survey of Boulder residents, which the city kept saying it couldn’t afford. Seems like that would have been a better investment, but I’m guessing that our leaders didn’t really want an accurate view of citizen opinions on growth and development, because they might very well not align with their own. It appears that our leaders believe they are wiser than our engaged and over-educated citizenry. The F-bombs thrown by the Code for America consultant aside—a transparent and tasteless attempt to look cool—the blatant attempt to arouse students and other young residents to oppose (even hate?) their elders and other long-time residents was much more offensive than her language. I’m all in favor of reaching out to groups that typically don’t participate in local affairs, but I’m mystified at the focus on those with the most short-term perspective on Boulder, many if not most of whom will move on after they complete their studies. Wouldn’t it have been better to reach out to similarly under-represented groups that have a longer term stake in Boulder’s future? The elderly and minorities come to mind. Where was the outreach to senior centers and future nursing home and assisted living residents? What about the Hispanics in our community who have been here for generations? After this experience and similar ones with the recent North Boulder Subcommunity Plan update (which is being used to justify all kinds of regulatory decisions that it did not address), I feel used. Many people criticize the city’s perfunctory attempt to appear to encourage citizen engagement, but my critique is based on my good-faith effort to participate and the blatant manipulation I witnessed in meeting after meeting. I’m done with Housing Boulder, but I urge Blue Line readers to look at the conclusions staff present to Council with a very jaundiced eye. It’s not too late to find out what Boulder residents really want nor is it too late to listen to the many voices of dissent. As a taxpayer, I would rather see city resources devoted to authentic citizen engagement that reaches out before the road map to policy and agenda for action are drawn up and actually listens to what citizens have to say. Previous Topic: Washington Post | The real challenge for cities: What happens when Millennials have babies and the suburbs beckon? Given that Boulder’s population has remained essentially constant for the last 2 decades (less than 1% increase per year), the “do nothing” alternative has already been in place for those 2 decades, with predictable and pernicious consequences. The average price of single family home in Boulder is now over $900,000, and increasing over 10% per year. 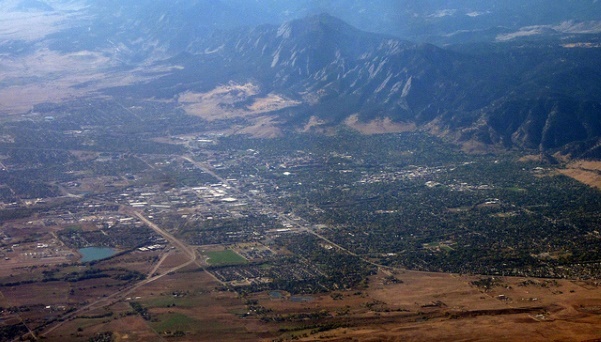 The simple fact is that the “do nothing” alternative means that Boulder will become ever more elitest, less diverse both ethnically and economically, squeezing out everybody but the 1%, and with ever larger increases in the 60,000 daily in-commuters. So discussing the “do nothing” alternative for “solving” the affordable housing problem is an oxymoron, it is no solution but a simple surrender of our town to the already far-advanced process of Apenization. Do “non-solutions” to a problem really deserve to be a serious part of discussions about how to fix a problem? Why waste everybody’s time with “fixes” that fix nothing?